Lighthouse Point is a suburban oasis, tucked away between Deerfield Beach, Pompano Beach, and the translucent waters of the Atlantic Ocean. While the idyllic setting lends itself perfectly to the endless relaxation that comes with living the Tiki lifestyle, navigating the ins and outs of constructing a Tiki hut in Lighthouse Point can be close to impossible without a knowledgeable and reputable Tiki hut contractor. So before you try to build a Tiki hut in Lighthouse Point, here are three simple things you need to know. The Lighthouse Point Building and Zoning Department is very strict with the sizing of Tiki huts, limiting them to no more than 150 total square feet within the four poles. Depending on where you want to construct your Tiki hut, it’s necessary to know how much distance you need to keep between the Tiki hut and any nearby streets, shores, floodplains, waterways, or neighbors. Even if you meet the size limitations and setback requirements of Lighthouse Point, living in a community with an association may create another set of restrictions to traverse. Not following the city and community restrictions can cost you lots of money and time, to the point that even a tranquil Tiki hut may not be enough to help you relax. But by working with a premier Tiki hut builder like Dan The Tiki Man, the process can be as easy as a Saturday afternoon sipping Mai Tais under the Sabal palms of your personal paradise. Let us put our experience to work for you, ensuring your Tiki hut is compliant with the size, setback and other zoning restrictions, helping you spend all of your time enjoying your Tiki hut instead of defending it. Not only are we fully licensed, insured, and approved as a builder of Indian authentic Tiki huts, but instead of using subcontractors, all of our builders are highly skilled and have been with us for years. 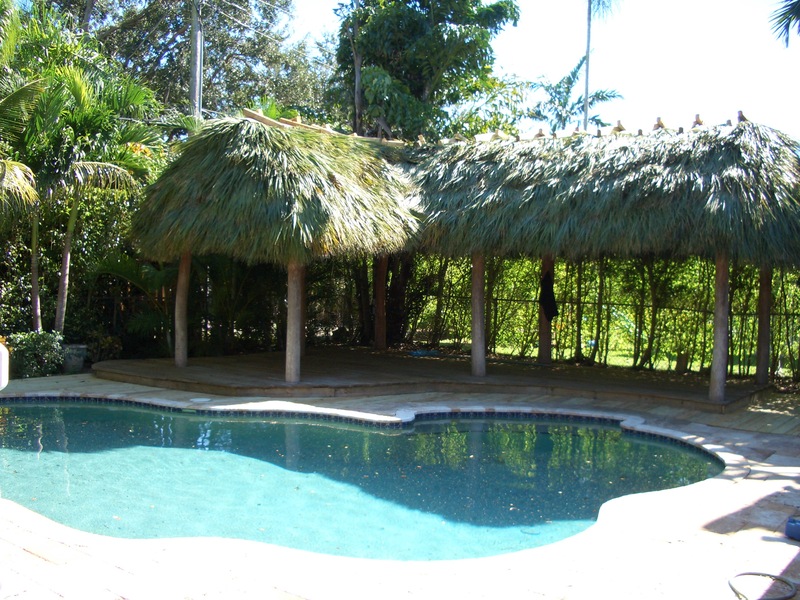 If you’re ready to construct your Tiki hut in Lighthouse Point, contact us today.